We are delighted to welcome Jakusho Kwong Roshi and Nyoze Demian Kwong, of Sonoma Mountain Zen Center. 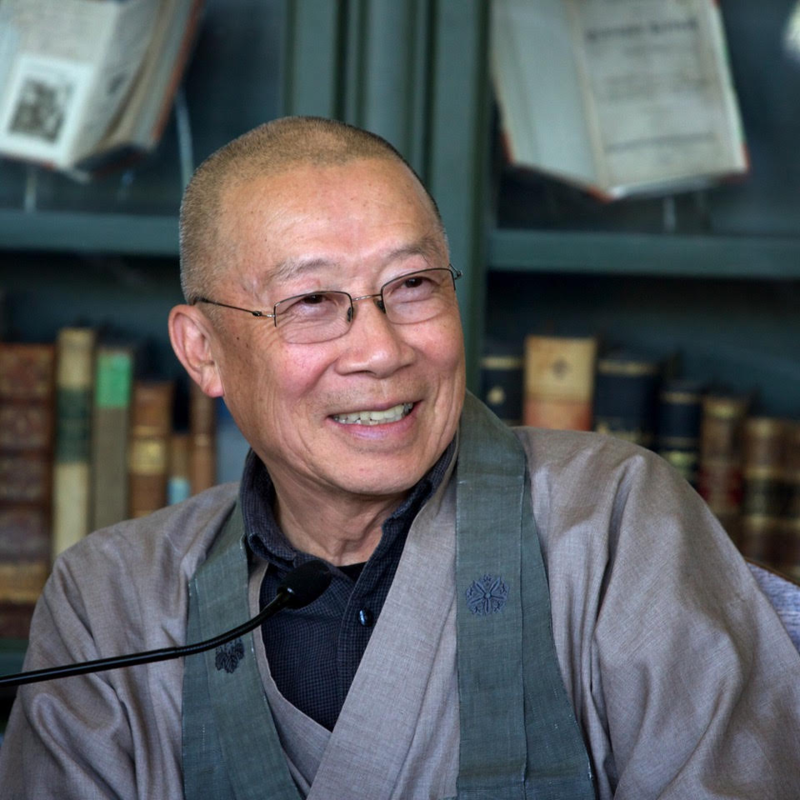 Jakusho Kwong-roshi, founder and residing abbot of Sonoma Mountain Zen Center, has taught Zen students in the United States and Europe for over forty years. He is a successor in the lineage of Shunryu Suzuki-roshi and one of nine Western teachers to be recognized as a Kokukyosaifu Kyoshi, a Zen Teacher, within the official Soto Zen School in Japan. Please register online and pay in advance in order to expedite the registration line at the start of the program!